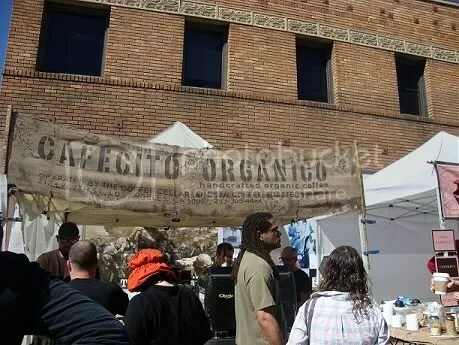 It’s Sunday tomorrow which means Ryan and I will be wandering around the Hollywood Farmer’s Market for our week’s groceries, Sunday brunch, and of course, Cafecito Organico. This artisan roaster based in L.A is probably one of the best I have ever had–and they’re entirely eco-conscious, too! All of their beans are roasted in small batches with sustainable methods. They are also all Fair Trade/ Organic and do not use as little processing as possible. In fact, on their online store they tell you exactly how they process their beans (which is usually just giving them a good wash). Words cannot even describe how ecstatic I was when I had their iced toddy last week. Since they are such a small company who gives so much care to their product, it’s no surprise that they do not have a retail location. While there are several places in town who carry them, I think meeting them at the Farmer’s Market and grabbing a bag for home is my favorite. ← Does this mean that Donald Duck OJ isn’t organic?